Hugo Barra offered a farewell to his Google colleagues Wednesday, confirming his plans to leave the company. 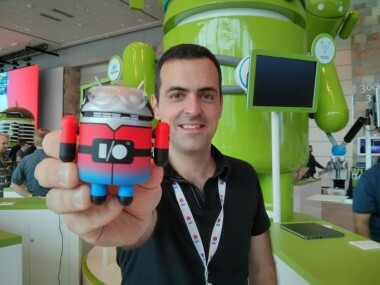 “After nearly 5½ years at Google and almost 3 years as a member of the Android team — the most amazing group of people I’ve ever worked with in my life — I have decided to start a new career chapter,” he said in a post on Google+. As first reported by AllThingsD, Barra is leaving to take a post at fast-growing Chinese phone maker Xiaomi. Barra signed off by thanking his Android colleagues, calling out by name executives Andy Rubin, Hiroshi Lockheimer, Sundar Pichai and Vic Gundotra. Pichai, meanwhile, praised Barra in a Google+ post of his own. Xiaomi also confirmed the move in posts on Twitter and Sina Weibo. “Hugo will be responsible for Xiaomi’s international business development and Android strategic partnerships,” Xiaomi said in a second Twitter posting.